With the weather warming up, it’s easy to start daydreaming about living by the beach for the summer. And what better way to spend those glorious warm days than by one of Australia’s famous beaches. While room rents at some of these beaches can be a little steep compared to neighbouring areas, spending a summer there isn’t entirely out of reach for us average folk. If you are keen to make the move, now is a great time to start looking as demand for rooms is lower than compared with the December to February period. 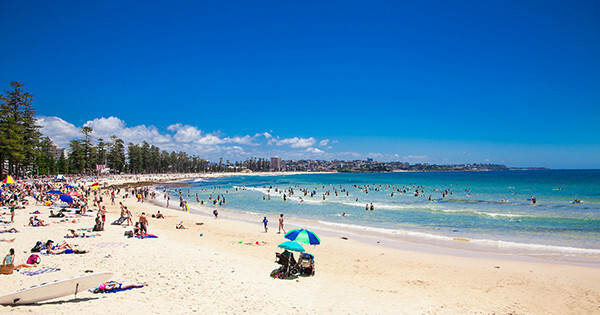 Bondi Beach is arguably Australia’s best known strip of sand. Unfortunately, its popularity does mean that rooms are hard to score and when you do get one you’ll be sharing this slice of paradise with every activewear-clad person when the weekend rolls around. 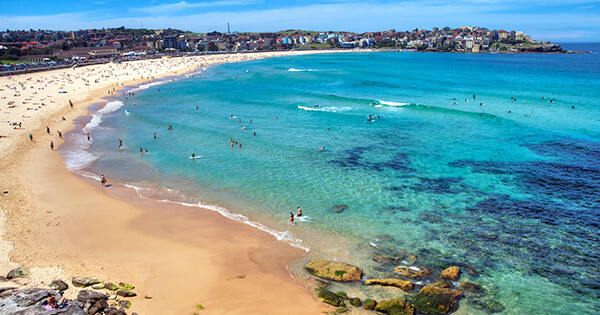 Nevertheless, Bondi is famously popular because it has a stunning beach and a great social scene. Despite its close proximity to the city, transport can be a little tough and parking is rare—so be sure to take this into consideration when looking. While an average room price of $363 per week may seem a little expensive it is actually not too bad for a beach in Sydney. Manly is essentially the inverse of Bondi. Although still wildly popular, it tends to have a more relaxed—some would say less pretentious—vibe. Don’t expect a bargain, however, with average room rents at $369 per week prices are almost the same as its Eastern Suburb equivalents. Despite being a fair distance from the city, transport is relatively quick and painless via the Manly fast and standard ferries. Busses also run through the Lower North Shore. 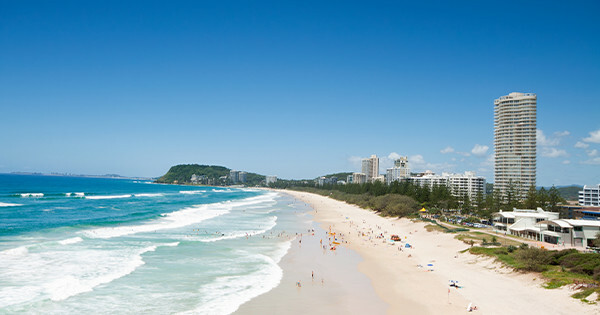 Noosa (or Noor-sah if you will), has long been the place for the rich and famous to live and holiday. But Noosa’s reputation for being a well-to-do area doesn’t mean you too can’t spend a summer there as, thankfully, rents have remained reasonable. Average room prices in Noosa Heads sit at just $243 per week, a whopping $126 per week cheaper than the most expensive beach on the list. Unless you work on the Sunshine Coast already or have the ability to work remotely, Noosa would make a difficult commute elsewhere. Public transport is limited and the closest train line to Brisbane is in Cooroy—22km away. Perth offers up some of the best city beaches in Australia—clear waters, white sand and far, far less people than elsewhere. Of those stunners, Cottesloe is arguably one of the most the popular spots thanks in part to its proximity to the city and transport links. Rents are also pretty reasonable, with the average private room renting for just $224 per week. 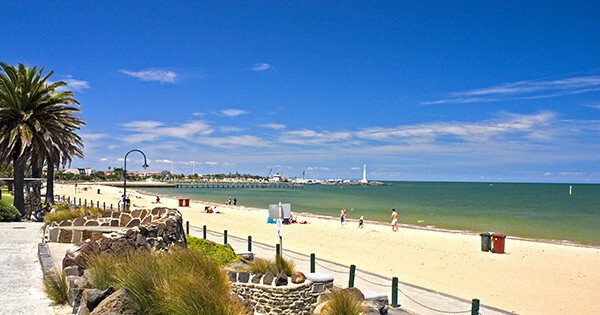 Iconic St Kilda Beach is arguably Melbourne’s most popular seaside spot. In fact, a sunny weekend in Melbourne isn’t complete without a picnic on the St Kilda foreshore or sunset drinks at the Baths. While the suburb is a little grungier than its neighbours, its imperfection does lend to part of the appeal. Proximity to public transport and a plethora of art deco apartment buildings also make the suburb a fairly cheap and convenient place to live. Surfers Paradise—or just ‘Surfers’ to locals—might not be everyones cup of tea. However, you could argue that Gold Coast wouldn’t be the ‘glitter strip’ without its bedazzled beach. Home to much of the Coast’s nightlife and tourist attractions, Surfers Paradise is the place to be if you want to be close to the beach but also right amongst the social scene. Aside from dodging tourists, your biggest challenge in Surfers Paradise will be finding a decent room. The holiday market can frequently occupy much of the suburbs housing stock, so rooms can be difficult to land and can fluctuate in price. If the glitz and glamour of Surfers Paradise doesn’t appeal to you then perhaps Burleigh Heads would be the perfect opposite. A stunning beach, relaxed social scene and a national park headland mean Burleigh Heads is wildly popular with both tourists and locals alike. Room rent prices are similar to Surfers Paradise with the average room renting for $228 per week, however, competition for rooms can be far more fierce than its neighbours to the north.